The International Public Speaking Competition (IPSC), now in its 39th year, is the largest public speaking competition in the world. Organised by the English-Speaking Union, it involves more than 600,000 students in over 50 countries. 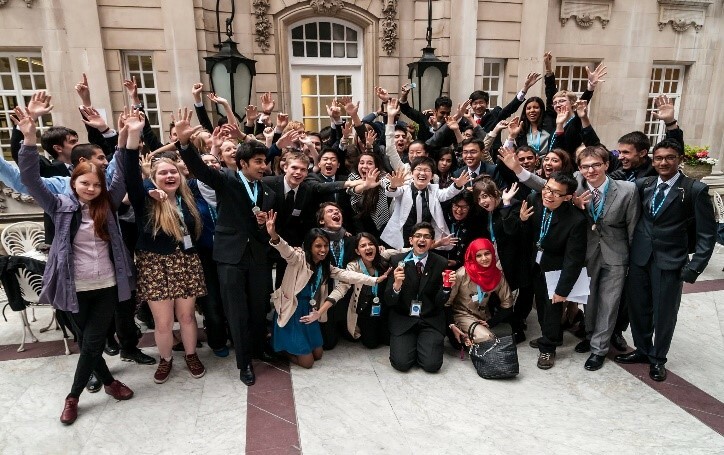 Not only does the IPSC provide students with an opportunity to develop the vital skills that enable them to be confident communicators, but through the International Final in London, students from around the world have the opportunity to meet, engage and form friendships and understanding that will last a lifetime. The English-Speaking Union Hong Kong has been sending the winner of the HK Speech Festival and the winner of the HK Federation of Youth Groups Public Speaking Competition to the IPSC Grand Final in London. Since last year, the China Daily “21st Century Cup National English-Speaking Competition” has included Hong Kong in their catchment selection, two winners from that competition will also participate in the IPSC Grand Final. Last year, our Hong Kong Student Mr. Harpreet Singh reached the final seven in London. What are the key elements of a good speech? How should I guide my students to participate in a public speaking contest? How can I strike a balance between my teaching duties and public speaking training? These were the questions Ms. Belinda Ko asked when she first became the teacher-in-charge of her school’s public speaking team. In the workshop, Ms. Ko will share with you the techniques she uses when training her students to take part in the public speaking contests. She will also tell you some tips of how you can manage time more effectively when you have to handle both contests and your hectic teaching schedule. For eight years, Ms. Belinda Ko had served as an English teacher at a local secondary school. With enthusiasm, she actively promoted public speaking to her students. Ms. Ko trained her students to participate in various public speaking competitions, including the Hong Kong Schools Speech Festival and the HKFYG Standard Chartered Hong Kong English Public Speaking Contest. Under Ms. Ko’s guidance, students have achieved excellent results: one of them won the championship of the HKFYG Public Speaking Contest and represented Hong Kong to the International Public Speaking Competition in 2018. Ms. Ko’s immense interest in public speaking also motivates her to take part in public speaking contests. In 2017, she was crowned Champion in the Southern China Public Speaking Contest. She is delighted to share her experience as a speaker and as a trainer. - Limited places. First come first served. - Certificates will be awarded for Continuous Professional Development Credits. On-line registration is also welcome.